We all know that Microsoft founder Bill Gates is one nerd who’s done very well for himself. He’s a geek who no one laughs at anymore because of the massive fortune he’s amassed. This is the man who brought us all cheap and accessible computing. 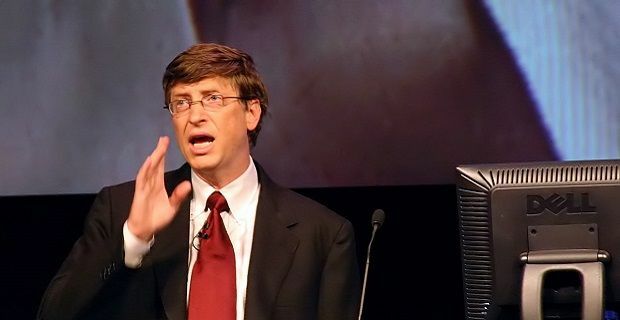 A world without Bill Gates and the Windows operating system would be an odd one for most of us so you won’t be surprised to read that the Bill Gates net worth figure is a staggering $80 billion. He’s America’s richest man and perhaps its most powerful citizen but he’s not one to hoard his cash. Since the year 2000, the Bill & Melinda Gates Foundationhas donated more than $30 billion. That amount of money today would put you into the top 20 in America and that’s what the man gave away to charity. This foundation is working to eliminate polio in poor nations and has been part of the fight against Ebola in western Africa. The foundation also spends money in the US where $1.37 billion has been given to aid education is some of the nation’s poorest areas. We all know where his money came from but it’s still interesting to look into Microsoft. This is a firm who employ 128,076 people. They earn something like $86 billion per year in revenue, and they own products like Skype, X-Boxand Nokia. Gates is no longer the Chairman of Microsoft as he’s now working part time for the firm who he made his name with while spending the remainder of his time working on his charitable foundation. This is a man who will always be in Forbes magazine's Richest People in America list because his fortune isn’t going to fade for a long time. With the acquisitions Microsoft make and the products they release, the future is just as bright as their past. Is Microsoft Windows Ultimate for you?